Field equations of the locally rotationally symmetric (LRS) Bianchi type-I metric with anisotropic fluid are constructed in the framework of Lyra’s manifold. By assuming a hybrid expansion law (HEL) for the average scale factor that yields power-law and exponential-law cosmologies, we model Bianchi type-I space time for the time-dependent displacement field which is proportional to a power-law form of the Hubble parameter. The model provides an elegant description of the transition from cosmic deceleration to acceleration. 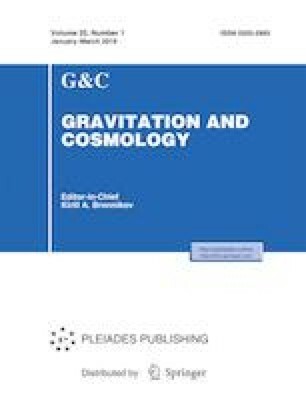 We discuss the physical behaviors of the derived models with observational constraints applied to late-time acceleration as well as early stages of the Universe. It is observed that HEL Bianchi type I universe is anisotropic at early stage of evolution and becomes isotropic at late times.